It's a big day for us college football fans as high school and junior college football players from around the country fax in their letters of intent to play for the college of their choice. It's a big reward for their hard work to be able to attend college with a full-ride scholarship and learn lots of things, on and off the field, that will prepare them to go pro - usually in fields other than football. There's a couple of things to keep in mind. First, at current levels, the benchmark bond (FNMA) is just slightly above the 1st level of support with the 2nd level 56 basis points below that. 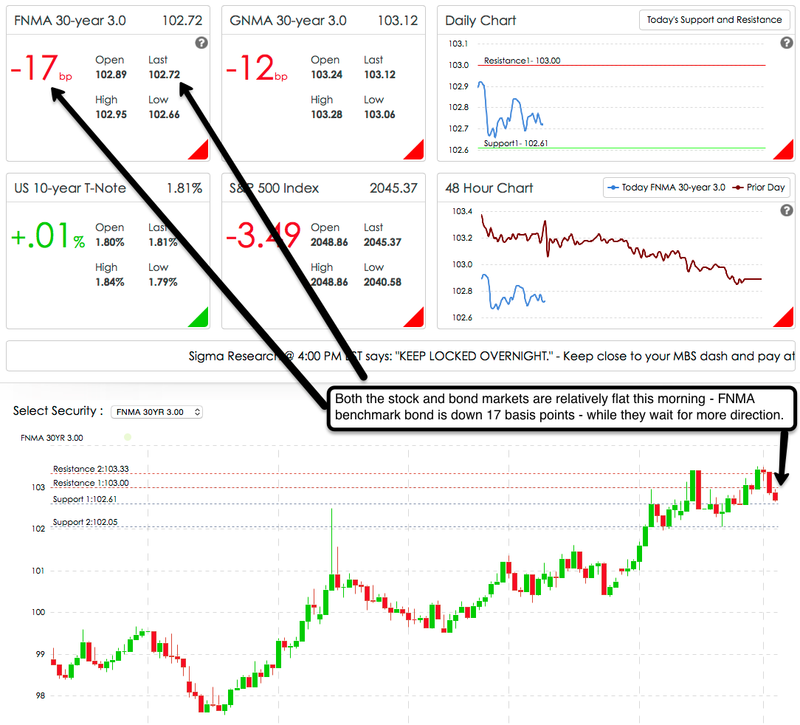 Secondly, the RSI is no longer reading overbought which is a good thing from a technical standpoint. Tomorrow's schedule: There are a few economic data points scheduled for release tomorrow but the big one is the weekly initial jobless claims. It's expected that they will come in at 290K vs. previous of 265K. A reading of 290K or higher might help put an end to our current losing streak - of course the equities market along with other geo-political events will have a say in the matter as well. Yesterday I recommended that you lock and since that recommendation the market has gotten worse by about .125% in rate. If it were me, I'd still lock today ahead of tomorrow's data just to be safe. Please feel free to contact me if I can help with anything mortgage-related - 702-812-1214. Make it a great day.